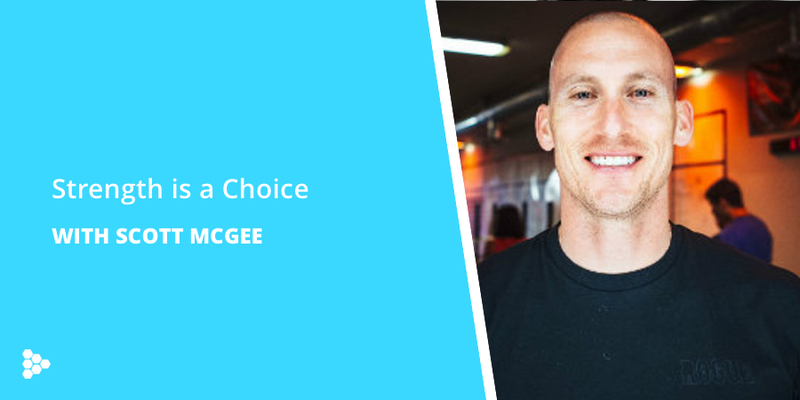 Today’s episode is heavy on the inner work as I interview my friend Scott McGee. A professional good guy, father, and host of the Sisu Way podcast. You may remember him from his days as host of the Wodcast podcast. We discussed some of the core tenets of the Sisu Way: Strength is a choice, vulnerability is strength, and health is wealth. This episode has some great stories to highlight practical approaches to turning your mind from a parasite into a tool that works for you, and how to recalibrate yourself in moments of stress. Listen to Scott’s full story on the podcast. [03:00] One of the things I admire about Scott. [05:20] One of the earliest points where a big lesson sunk in for him. [06:57] One way to choose strength. [08:23] How knowing the “why” behind what drives you, provides you with a platform to produce force, and be strong in the face of external stressors. [11:05] How an important part of choosing strength is creating the space for a choice. [14:11] How vulnerability is strength. [15:15] The concept of health is wealth. [17:05] How he remembers to stay in the drivers seat through injuries. [17:57] The difference between choosing strength, and giving away the keys to his emotions and experience.